Acne affects millions of people in the US. For most people, especially teenagers, acne breakouts are the worst and it can really damage one’s self-esteem. What causes acne? 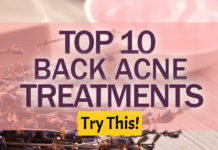 There are several factors that can cause acne breakout but the main reason is the combination of overproduction of oil and blocked hair follicles, which doesn’t allow the oil to leave the pore. When the skin pore is clogged, it invites bacteria in the hair follicles. These bacteria, called the P. acne causes the skin to get inflamed, thus leading to an acne breakout. However, as mentioned earlier, there are many factors that can also trigger the breakout, and some of them are practices and habits that you are doing on a daily basis. 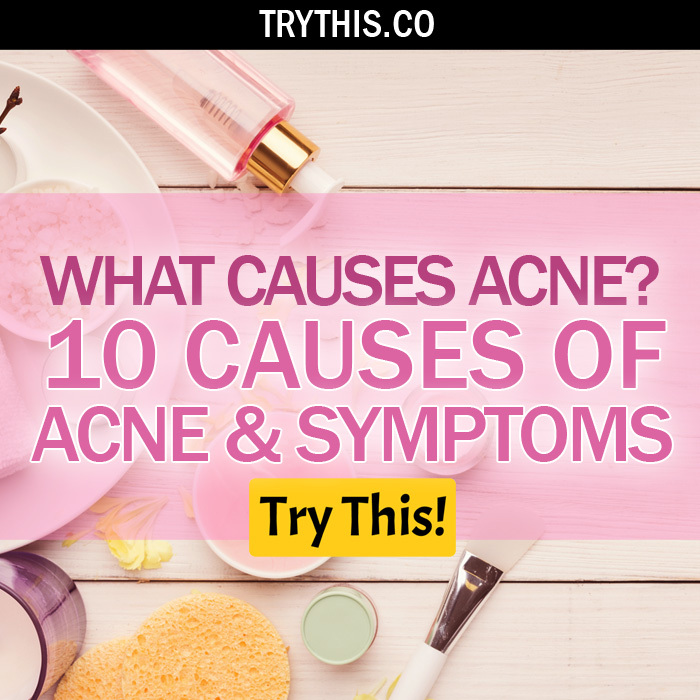 It is important to understand what causes acne so you can find ways on how to stop and prevent the bad habits and practices that lead to an acne breakout. Sometimes, what causes acne is the products that you are using on your skin. If you are using a lotion or skin-care product that contains mineral oil, then you are at risk of having an acne breakout. Mineral oil is used as a moisturizing agent in skin-care products, but it can also clog the pores, which leads to an acne breakout. 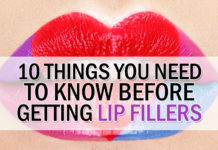 Another ingredient in skin-care and cosmetic products that can clog the pores is silicones. Look out for these ingredients when buying your lotion or other skin-care and beauty products. In order to avoid clogged pores, you should use skin-care products that are labeled as noncomedogenic, which means that the product has been formulated not to clog up your pores. If you are still experiencing acne breakouts with noncomedogenic products, you may be allergic to other ingredients included in the product. 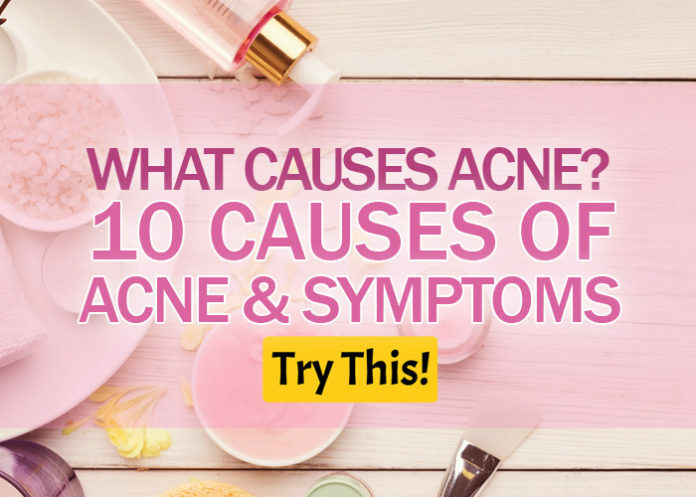 Visit your dermatologist to know more about what causes acne and how to avoid it. Do you love spicy foods? What causes acne may come from your eating habits, especially if you are always eating spicy foods. Most spicy foods contain peppers and tomatoes, which has high amounts of lycopene that can be a source of irritation for some people. Lycopene can disrupt the pH level of your skin, causing an acne breakout. Other types of foods can also cause problems on your skin. Some people may develop an acne breakout when they consume dairy foods or bread. You can try lessening spicy foods from your diet, or you can just completely take a break from it for a while. By avoiding spicy foods, you can pinpoint what causes acne and irritates your skin. You can tell that your skin is irritated by the ingredients in your food when there are rashes and tiny whiteheads developing around your mouth and chin area. What causes acne may be the wrong cleaning routine and practices that only aggravate the problem. Your exfoliating agent may be too rough or you are scrubbing your skin vigorously with a washcloth or cleansing brush. Some people may say that scrubbing can result in a smoother skin, but it may be bad for your skin in the long run. When you scrub the acne, you are spreading the bacteria across your skin, which only worsens your problem. It is much better to clean your face gently with ingredients that can unclog the pores such as glycolic acids, lactic acids, and alpha hydroxy. By washing and moisturizing the skin, you can decrease the frequency of scrubbing. Most people do not know this but what causes acne may be the shampoo or conditioner that you are currently using. 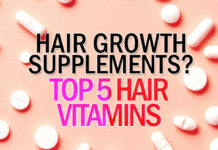 The hair products that you are using contain silicones, sulfates, heavy moisturizing agents, and other cleansing agents that may find their way into the pores and clog them, leading to pimples on the face, hairline, shoulders, and back area. 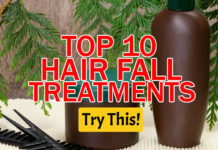 You can avoid this from happening by tilting your head over to one side when you are rinsing out your shampoo or conditioner. By doing this, you keep the residue away from your face, shoulders, chest, and back. Make sure to wash your face thoroughly in the shower so that no hair products can seep into your skin pores and lead to an acne breakout. There are so many health reasons why you should avoid or quit smoking. You are not only increase your risk of developing serious diseases, including cancer, but you are also damaging your skin. Once you start smoking, you reduce the amount of oxygen that is supplied to your face. 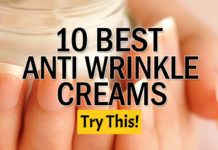 This causes collagen and elastin breakdown, which causes your skin to develop wrinkles and increased pore size. What causes acne is the smoke because it contains harmful carcinogens that irritate and dries the skin, which triggers the skin to release more oil, thus leading to an acne breakout. If you are a smoker and you are frequently having problems with pimples and acne breakout, then you probably should give up this habit. When you don’t smoke, you are not only avoiding acne breakout, but you are also going to live longer and healthier. Picking your inflamed pimples is another bad habit that you should completely stop doing. What causes acne are the habits and practices that will only worsen the breakout. It might be tempting to push down or press on the pimple, but dermatologists do not advice it. Picking on your pimples would only turn it into a scar, but even worse, it would push the bacteria deeper and spread it underneath the skin, thus leading to an acne breakout. The only solution is to never touch or pick on your pimples for any unnecessary reasons. 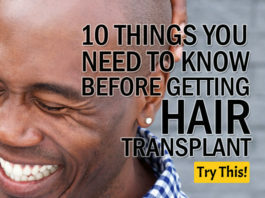 You are only transferring more dirt and bacteria to the inflamed skin that is already teeming with bacteria. Not being tempted to touch your face or any part of your body affected by acne will allow your pimples to heal and dry out naturally. Stress is definitely what causes an acne breakout. When you are under stress, your body releases stress hormones that stimulate the oil glands. An increase in oil production will more likely clog up the pores, thus attracting bacteria that cause acne. Having an acne breakout can lead to more stress, which triggers more acne breakout. This is a vicious cycle that will do a lot of damage to your skin. Other people will say you have to avoid stress, but it is easier said than done. It is often difficult to avoid stress, especially if it is part of your job. What you need to do is release your stress constructively, which means you can go to the spa, exercise, meditate, or practice yoga. When you release pent-up stress properly, your body stops releasing the stress hormones that will trigger an acne breakout. Sometimes what causes acne is the treatment products that you are using. 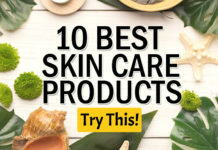 Over-the-counter (OTC) acne treatment products are effective in drying out the pimples, but it can also be damaging to the skin if it is overused. 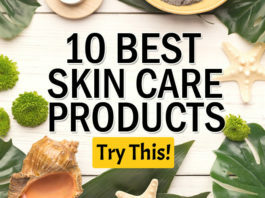 Most of these acne treatment products contain sulphur, salicylic acid, and benzoyl peroxide, which dry out the skin that causes the body to produce more oil. Plus, these ingredients can slightly burn the outer layer of the skin if it is used frequently. This means that your pimples will appear redder and inflamed. You can try applying one percent hydrocortisone cream on the pimple 2 to 3 times per day to reduce the redness and inflammation. 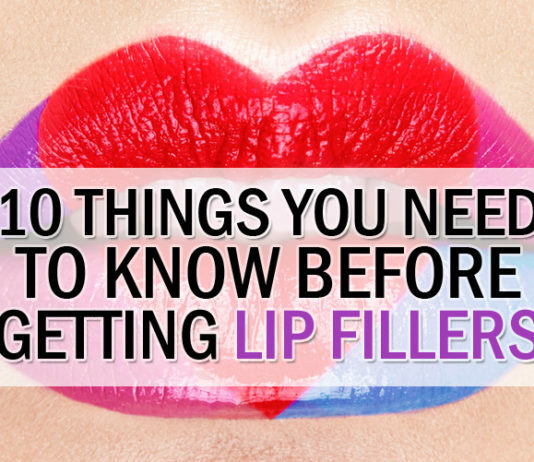 The next step is to use a concealer that contains antibacterial ingredients to cover up and dry out the pimples. You’ve probably heard that too much exposure to the sun is bad for your skin. In fact, overexposure to the sun can lead to skin cancer. Tanning beds are also very dangerous to the skin if used frequently. It’s true that sun exposure dries up the skin, which leads some people to believe that it can also dry out acne, but this could only make acne worse. What causes acne is not the drying up of the skin, but the oil that is triggered by the skin dryness. As your skin dries out, it triggers your body to produce more oil, which clogs up the pores and result in an acne breakout. If you are always out in the sun, make sure to put on some zinc-based sunscreen. Choose products that have a strong formulation to protect you from the sun, but contains fewer chemicals. You can also do other things to protect yourself from the sun such as wearing sun hats or caps to shield your face from the harmful UV rays. What causes acne may be poor hygiene and not cleaning yourself after sweating it out in the gym. The sweat can mix with the dirt, oil, makeup, and bacteria and will eventually clog up the pores. This will surely cause acne breakouts. If you don’t have time to shower or wash your face after working out, you can just use a facial wipe to clean out the dirt and sweat.